Look no further than The Metropolitan Museum of Art when you’re seeking to brush up on your art history. Throughout your studies — formal and informal — you may have noticed a familiar motif in the background of so many European paintings. Look a bit closer, and you’ll start to realize just how frequently Islamic rugs are featured in world renowned paintings. “European paintings are a primary source for scholarship on early carpets, and many groups of Islamic carpets from the Middle East are today called by the names of European painters who depicted them: Lotto, Holbein, Ghirlandaio, Crivelli, and Memling are among the European painters whose names are now used to describe certain groups of carpets woven in Ottoman Turkey.,” writes Walter Denny from the Department at The Met. For starters, a large Ushak medallion carpet is depicted in Gabriël Metsu’s The Visit to the Nursery from the seventeenth century. 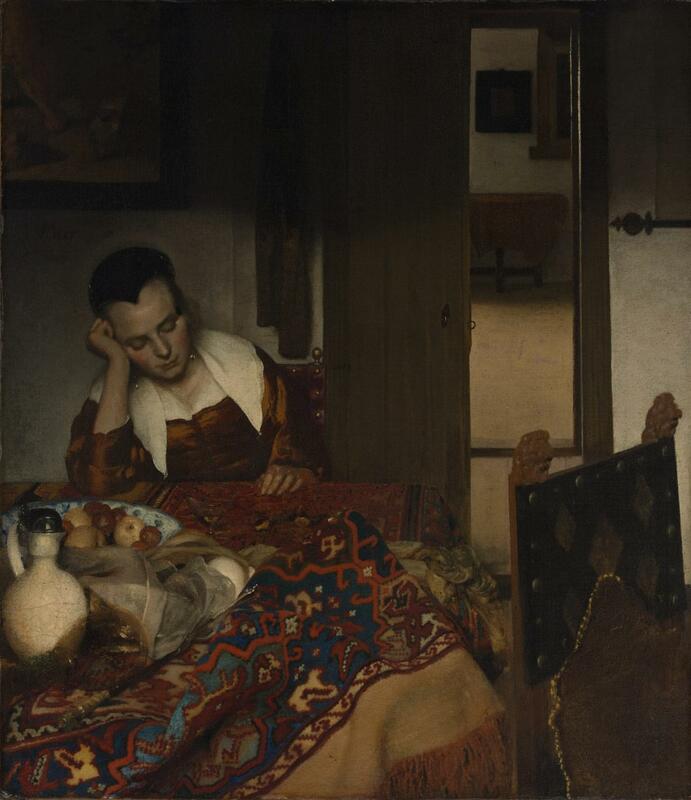 Around the same time, Johannes Vermeer painted Anatolian carpets in Young Woman with a Water Pitcher. Jump forward a few centuries, and take a look at Jean August Dominique Ingres’ portrait of Jacques-Louis Leblanc, showcasing yet another Anatolian rug. The interest in these exquisite rugs continued through the twentieth century, in paintings from household names like Matisse and more. Take a few moments to read The Met’s fascinating essay on the topic, and explore their archives online.